Minister of Culture and Islamic Guidance Ali Jannati has asked the Ministry of Justice to help protect the copyright law in the country. He made the remarks at the Sixth Seminar of Art, Literary and Relevant Rights Ownership, held at the National Library and Archives of Iran (NLAI) on Monday. “If the Ministry of Justice does not cooperate with us, we cannot protect copyright,” Jannati said. “However, if the regulations are observed properly in the country, and other public organizations cooperate with us, we can protect the legal rights of the producers,” he explained. “This seminar is held annually to protect art and literary works in today’s virtual world. We have talked many times about the legal rights of the producers of art and literary works. He next explained that a bill to join the Universal Copyright Convention had been finalized by the Ministry of Culture in 2012, and has been submitted for discussion in the cabinet. It currently awaits final approval. “The bill has been prepared based on universal conventions so that Iran can join the Berne Convention in the future,” he explained. He hoped that by approving the bill, Iran can become a member of international organizations to help protect the legal rights of creators. 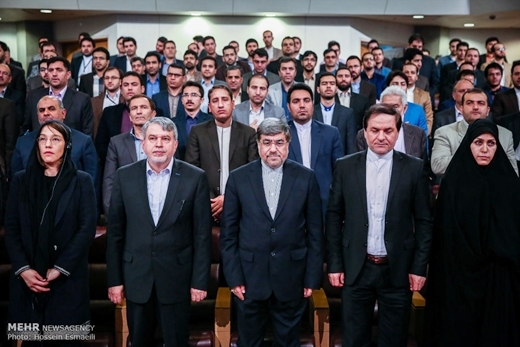 Minister of Justice Mostafa Purmohammadi said that the increasing number of visits from world officials indicates that they have found the atmosphere of the country to be favourable. “As we are helping producers, we need to help and protect artists and writers. Those individuals who are doing research need serious help. They need to make use of their products and they should own the rights. “If we do not provide them such assistance, they will publish their works outside the country”, he added.